Clay Aiken – Sharing A Moment! Wednesday, January 25th was an amazing day for Clay Aiken Fans! It is so much fun to have so many things to post! The day started with a new YouTube about Broadway Backwards. BC/EFA will be presenting the 7th annual show on Monday, March 5, 8 pm – at the Al Hirschfeld Theatre. Clay was one of the outstanding performers on lasts years show. He had the audience in tears when he sang an emotional performance of Home, from the show, The Wiz. Be sure to visit the website for BC/EFA to get more information on the show. I was able to go last year and it was amazing. The following YouTube video is great. It is so wonderful that there are Clay fans who are able to capture shows and commercials from their TV’s. A few were able to capture a new commercial for the up-coming season of Celebrity Apprentice. Then other fans were able to get a few screen caps. I wish I knew the names of the people who did this for all of the fans. I would really like to thank them for taking the time and sharing so much with us. I can’t wait until Celebrity Apprentice starts. It seems like it is going to be amazing! I love all of the excitement for and about Clay right now. I sure hope it keeps going all year long! was nice to see Faye and Brett! It was a great day for Clay pics. Thanks to all the clack gatherers for the pics.. I have one question, what does the next to the last pic represent? 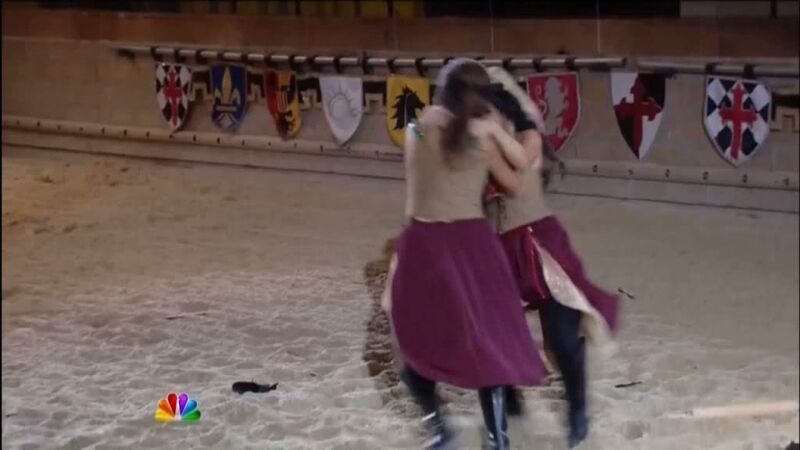 The two guys wrestling in the arena. Love all of our little bits and pieces of news. Love the way Clay shared his family dinner with us. Yes it was an exciting day with all the new information. 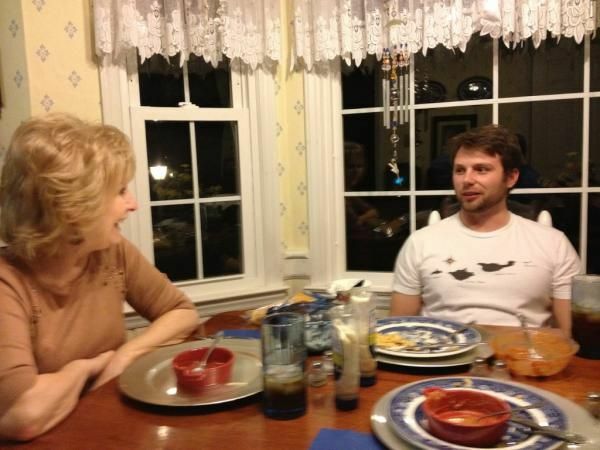 I am glad to see that Clay was eating dinner with his mom and brother. Also I am excited about Broadway Backwards. I would love to see that one day. Last year Clay was fabulous and it is to raise money for such a great cause.Plus it looks like CA is going to be very interesting . I am so glad for all the news. Thanks for posting it! OMG…Clay's mom uses the same dishes that my mother used when I was growing up! Thanks for all the pictures, videos and nice words about Clay from many sources. I love the new CA commercial and how they all say "for chariety". Brett is looking like Clay now and I never noticed this resemblance in the past. Error: Error validating access token: Session has expired on Tuesday, 21-Aug-18 16:13:01 PDT. The current time is Thursday, 25-Apr-19 19:06:39 PDT.